Buying new carpet might seem like a complicated process when you don’t think about flooring projects every day. That’s why we’ve put together this blog post. The process can be simplified, especially when you know how to prepare and plan. 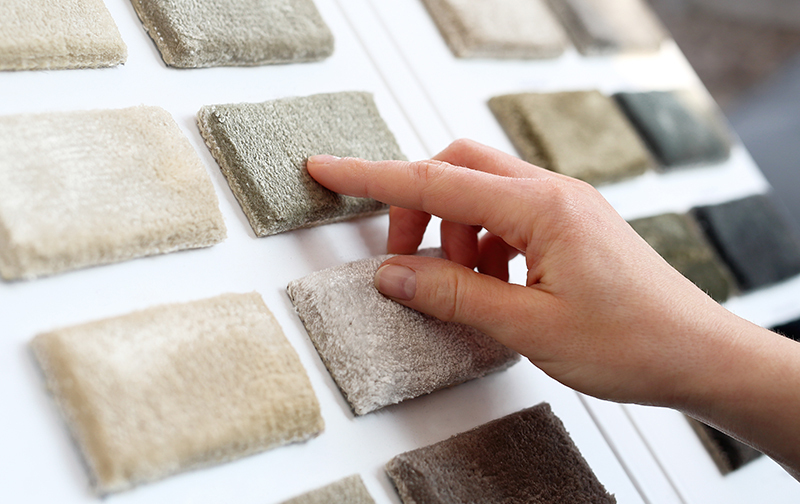 Keep reading to learn everything you need to know before you start carpet shopping. Carpet has been a perennial favorite among budget-conscious homeowners for years because it is easy-to-maintain and has a long lifespan while also being stylish and cozy underfoot, adding to any room welcoming warmth, sound-muffling insulation, and unparalleled softness. Deadline: What is your time frame? Durability: How long do you need your carpet to last? Room size: How big is the space you are carpeting? Budget: How much are you looking to spend? Different carpet options have different availability. Some may require custom ordering, others might demand special installation, and additional options might be available quickly. If you have an idea of when you need your flooring installed in advance of shopping, this information can help you decide between options when the time frame makes a difference. Don’t forget to factor in some time for room prep (if necessary) before your installation. How long your new carpet flooring will last is dependent primarily on two factors: how much foot traffic your room gets and what fibers are used to make the carpeting (for example, unlike polyester, carpet made from nylon fibers makes an excellent choice in places that get a lot of usage). By providing information to your design consultant about how your room will be used when you start shopping, you can get appropriate recommendations to ensure you end up with durability that fits the needs of the space. How big is the space you plan to cover with new carpeting? Before you make your purchase, your design consultant will help arrange for what is called “a measure.” This is when we arrange for a technician to stop by your home to take an official in-home measurement of your room to ensure that, when you’re ready, we order the perfect amount of carpeting. We also use this figure to create customized price quotes. Speaking of price quotes, knowing how much you want to spend helps when it comes to narrowing in on choices. All projects are different, but how much you pay for carpeting is dependent on three factors: the cost of the carpet itself as well as its carpet cushion and the charge for installation. When you’ve collected your answers, and you’re ready to check out all of the carpet options for your floor, stop by our Indianapolis area carpet store and chat with one of our friendly design consultants.